If you love cats like me, then this article may be a tough read...or at least the original study would be. It's about a study that was done on cats demonstrating how nutrition plays a great role on their own health as well as their offspring's health. So if you love science and learning new things about why what you eat really matters, then I encourage you to continue reading. The results are enlightening! -- you are what you eat, truly! Pottenger's theory: you are what you eat. Pottenger stumbled upon an unexpected observation during an experiment he was performing for his family. His family owned a health clinic that specialized in treating people with immune deficiencies such as tuberculosis. They treated their patients with adrenal glandular supplements because it allowed the patients to recover more quickly. Carrying on in his father's footsteps, Pottenger began doing research to quantify the amount of adrenal glandular people needed to recover fully from their illnesses. He tested this theory by giving cats various amounts of adrenal substance until they reached their optimal dosage. In his study, each cat was fed a diet of cooked meat, cod liver oil, and raw milk – known in that time to be a very healthy diet for cats. The adrenal glandular supplements worked fine, but for some reason, he noticed a high mortality rate among the cats involved in the study. Unintentionally, Dr. Pottenger acquired so many cats during this time that he had a shortage in cooked meat and was forced to acquire raw scraps from a butcher to feed the overflow of the cats. Very quickly, he noticed the mortality rate had dramatically been reduced for the groups of cats consuming raw meat and from that point, he decided to dig deeper into his observations thus beginning his 10-year study on cats. The idea behind this new study was to note all physiological changes in the structure and offspring of each group of cats due to a difference in their dietary nutrition. He divided the cats into four groups. The first group was fed raw milk; the second was fed pasteurized milk; the third, evaporated milk; and the fourth, sweetened condensed milk. He watched each group closely through three generations. At the end of his experiment, he had discovered profound differences in the health of the cats in each group. In the first generation of cats, Pottenger observed undeniable results. The group consuming raw milk had great agility and coordination, normal sexual awareness, excellent fur, good liver, and easily won fights against cats from the other groups among other things. The group consuming pasteurized milk were more lethargic, had slightly impaired coordination, poor skin tone, fatty liver, and showed dental deterioration. The group consuming evaporated milk had slightly more pronounced symptoms as pasteurized milk group. The group consuming sweetened condensed milk was nervous, had marked poor coordination, coarse fur, enlarged liver, and greater dental decay. During the second and third generations of cats, Pottenger focused more on cooked verses raw meat that was being fed to the cats. He concluded that the second generation of cats consuming only raw meat were larger, fuller cats, while those consuming cooked meat were underdeveloped and had noticeable degeneration of bones. The third generation of cats consuming cooked meat had even greater degeneration of bones, often promoting sinus issues, and the likelihood of there being a fourth generation was slim to none as the cats either had no interest or gave birth to stillborn kittens. After the cat study was complete, he tested the same theory on plants using the pens of the four different groups to observe how well they would grow. The results were very similar: plants grew healthfully in the pen that housed the cats feeding on raw milk, they struggled in the pen where pasteurized milk cats stayed, they resisted even more in the evaporated milk pens, and failed to grow in the sweetened condensed milk pen. Proof of physical and mental degeneration. In the end, the most profound differences in the physical degeneration of cats were not found in the first generation, but more explicitly in the second and third generations. At the end of Pottenger's experiment, he was able to reverse the diet of the first and second generation cats allowing them to return to their natural, healthy state, but it took four generations to do so. This study proves that what living organism eat, people included, make a huge difference in the health and degeneration of their present bodies, but also for many generations down the line. 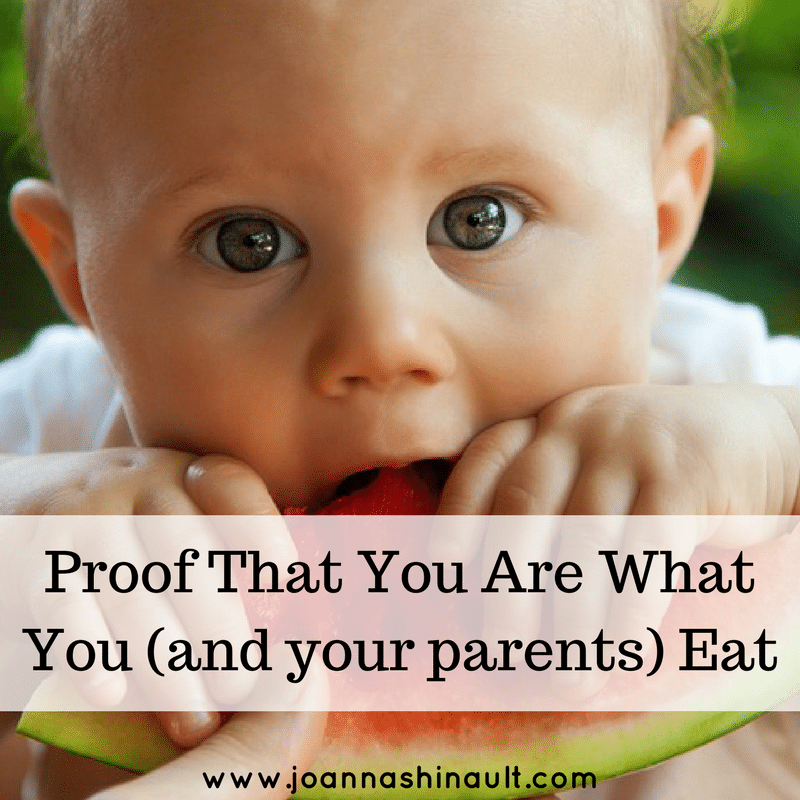 In other words: you are what you eat! CRAZY! Am I right?? So now that you've read this post, tell me what you learned in the comments below! If you want some tips on how to get and stay healthy even if you're a product of degeneration, check out my post here.